On Oct. 24 a test revealed his chronic myeloid leukemia was in full remission, a day before he would play in his 700th career game. Twelve days later, the 33-year-old New Jersey Devils forward scored his first career hat trick to become only the 23rd player in league history to score three goals in a game for the first time after 700 career games. Boyle enjoyed his big evening in Pittsburgh against the Penguins on an evening they honoured several local cancer survivors in a pregame ceremony as part of the league-wide Hockey Fights Cancer initiative. “To be able to score three goals in a game was something I never dreamed of,” Boyle said. “It’s always nice to contribute. I’ve worked hard on the offensive part of the game and to have a night like that on a Hockey Fights Cancer night was something I’ll never forget. 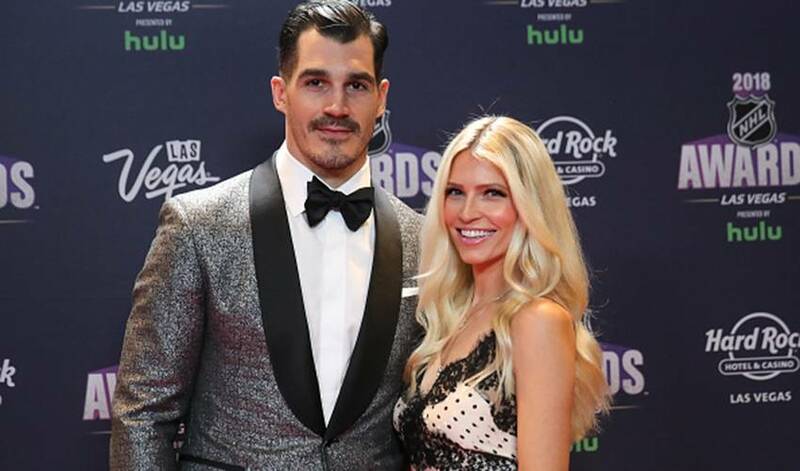 After a training camp physical 14 months ago, Boyle was diagnosed with a form of bone marrow cancer. He underwent treatment and returned to the Devils lineup in early November. He provided a memorable season, in which he represented the Devils at the all-star game after his teammate Taylor Hall suffered a hand injury. Boyle was later named the Masterton Trophy winner for the player who best exemplifies qualities of perseverance, sportsmanship and dedication to hockey. While all this was going on, Boyle and his wife Lauren had a health scare with their three-year-old son Declan. The fear was he also had cancer. But instead, the diagnosis was with arteriovenous malformation, a vein disorder that disrupts normal flow of blood. Declan has since undergone 10 surgical procedures, including one recently, on his chin and jaw. Boyle reports his son is not only doing well he has handled all the daunting medical procedures with ease. Boyle, however, wonders where his family would be without its “rock star,” Lauren. She didn’t hesitate when approached to be the Hockey Fights Cancer ambassador for 2018-19 to follow in the footsteps of last season’s ambassador Nicholle Anderson, cancer survivor and wife of Ottawa Senators goalie Craig Anderson. “She has been excited,” the 6-foot-7 Boyle said. “She wanted to be part of the group helping and she wants to do everything she can. She’s obviously busy at home with our two young children [daughter Bella is 17-months-old], but we saw a lot last year. If you’re wondering the source of Boyle and his family’s fighting spirit and faith, look to his father Artie. He was diagnosed with metastatic renal cell carcinoma in 1999 and was given a five percent chance to live after having his kidney removed, only to discover the cancer had spread to his lungs. A devout Catholic, he meditated, prayed and took a pilgrimage with two friends to Bosnia and Herzegovina to visit its landmark Medjugorje, where millions have flocked since six people allegedly saw an apparition of the Virgin Mary in 1981. Artie’s cancer disappeared and he was cancer free until last summer when traces of the renal cell reappeared.